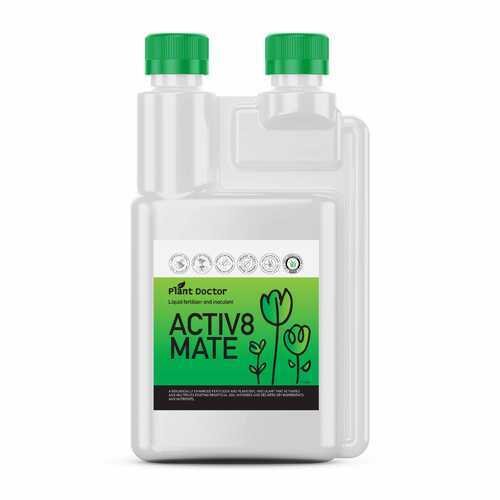 Activ8mate is biologically enhanced and is both a Fertiliser and Plant/Soil Inoculant that stimulates and feeds the existing beneficial soil microbes as well as feeding the plants, trees & turf etc. with a myriad of key ingredients. 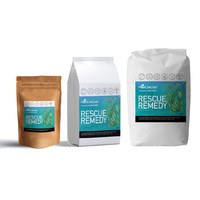 30 separate strains of beneficial microbes* incl. Bacillus subtilis, Trichoderma and VAM. Activ8mate helps stabilize nutrients in the rhizosphere where they remain available over a longer period of time. Suitable for greening-up Fairways and Greens, and Lawns. Most of our liquid products (except liquid iron), can all be mixed and applied together, (The iron should only be mixed with Stimulizer). Or they can be applied separately at various frequencies, based on the soil/plant/lawns requirements and condition. Unfortunately, as there are a million things that effect the exact amount needed and the frequency of application for each product, there is no one fits all solution. Hence why the experts seem to always have nice looking gardens and lawns and the rest of us struggle… haha. Regarding application, there are several ways our liquids can be applied…..
Watering can: mix the amount suggested (typically 10‐30ml)/9 litres of water. Hose‐on Bottle (Seasol/weed ‘n feed etc.) or hortex sprayer: mix the minimum amount of water with the product/s to allow you to cover the required area/s. 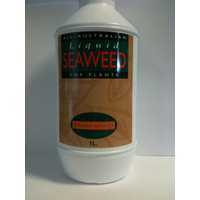 For example, for my front yard, using an old weed n feed hose‐on bottle I add 100ml of each Seaweed Secrets, Activ8mate and Natures Soil Wetter, then top up with enough water to allow you to evenly cover it using the hose‐on bottle (I add about 600ml water), then evenly hose‐on. If using a Hortex sprayer on setting 2 without the restrictor, you shouldn’t need to add water, but if you do, just add as little amount to cover the required area. ► Saves Time & Labour. 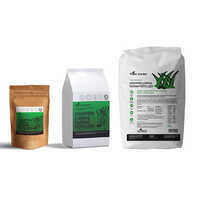 Great product for use on a regular basis in between granular fertiliser. Keeps the lawn ticking along nicely. Activ8mate has really taken my LaPrima Couch to the next level. Great growth even in Autumn. Perfect soil perfect lawn! I still can’t believe how complete this product is, it makes it almost too easy to take care of my lawn! Fantastic product and seeing amazing grass growth and repairafter a late summer dethatch and topdress. I am using Activ8Mate together with my regular granular application and the lawn has never looked better. Combined with next day delivery I am loving Plant Doctor!! !